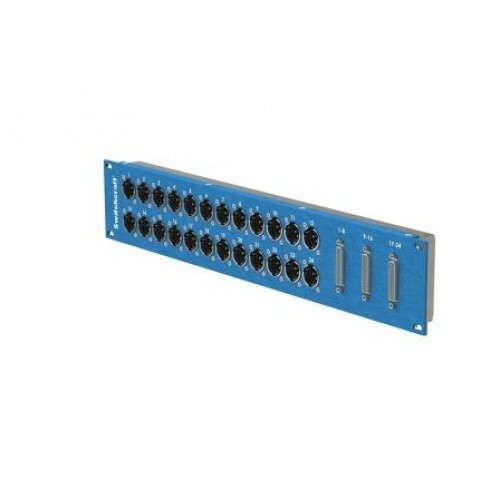 Switchcraft 2U Rack mounted Input/Output patch bay with 24 male XLR 3 pin panel connectors and 3 25 Way D sockets. Product is prewired to Tascam industry standard convention using Belden 110Ohm AES/EBU wiring. All wiring is housed in shallow screened enclosure. With all connectors accessable from front of panel patching is a simple operation and bi directional. Applicatioins includes pro audio and broadcast environments.